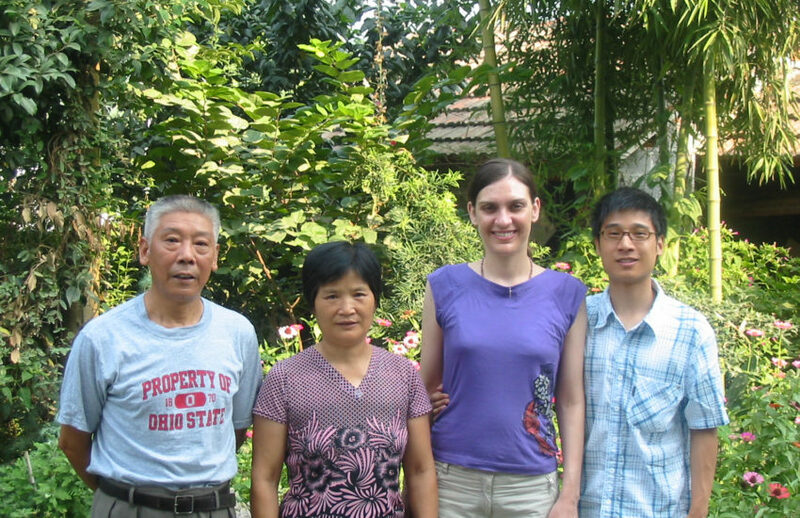 Photo Essay: Favorite Summer Foods at My Chinese In-Laws' Rural Home | WWAM Bam! When summertime arrives, my husband and I can’t help musing about the fact that it’s “berry season” to us. We still have fond memories of the many summers we spent together in the US, tempted by the juicy blueberries, cherries and raspberries we would find in the supermarkets. But during summers I’ve spent with my Chinese in-laws in their rural home in Zhejiang province, I’ve also enjoyed some tantalizing delights — including berries — that truly make me feel summer is here, just as much as the foods I’ve come to love back in the States. Technically this is spring bamboo. But it was still around in early summer one year, when I first arrived at my in-laws’ home to spend the summer there — and such a captivating treat. Bamboo pervades much of the foods that my mother-in-law likes to prepare, including many of my own vegan favorites (like her vegan version of shaobing that I adore so much). Yet you really haven’t lived until you’ve enjoyed some freshly harvested spring bamboo stir-fried with ginger, garlic, soy sauce, a little sugar and some green onions, just as my mother-in-law prepares it. Berry season in my husband’s hometown means wild raspberries, which make their appearance in early summer as well. 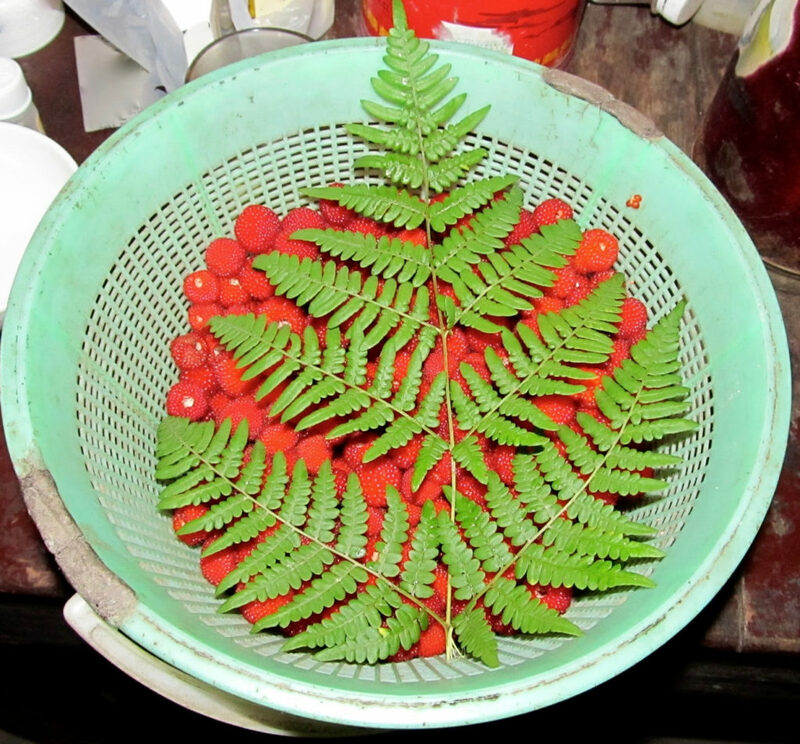 And they are so plentiful in the hills surrounding the village that my mother-in-law could pick enough to fill an entire basket (artfully covered by a fern leaf on top). 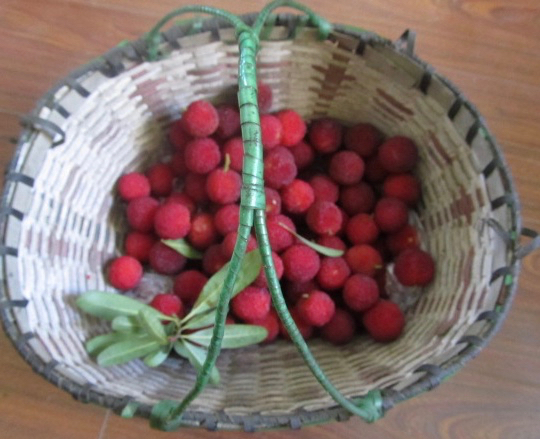 One of my fondest memories of raspberries happened when my mother-in-law insisted on gathering some for me — which became the subject of a recent column I wrote for China Daily. 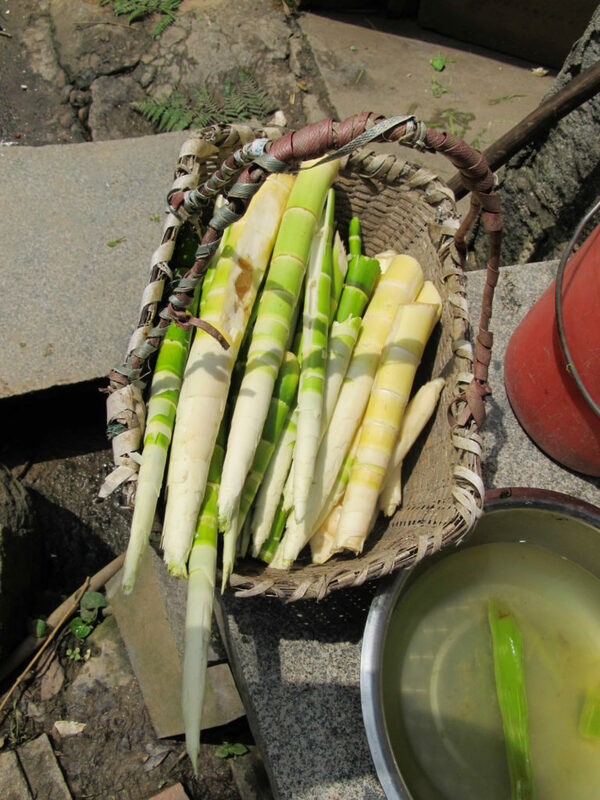 Whenever I think of yangmei, I also think of my mother-in-law, who would visit the community trees near the village auditorium and pick an entire basket of the fruit just for me, even though she considers these local yangmei a bit too tart to eat. What are your favorite foods during the summer?